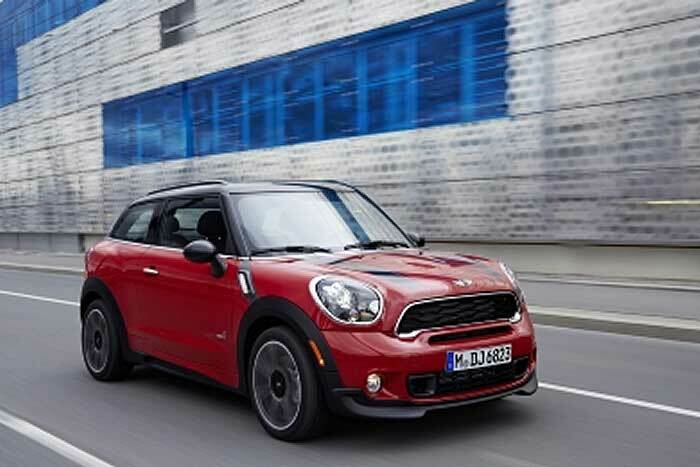 MINI has released the newest member of its family, the Paceman. It is now the 7th MINI model and its existence is a lesson to other auto makers in how to make something out of nothing. As a company MINI has in essence two platforms, the Cooper and the Countryman, but from these two platforms MINI has developed seven distinct models, even more if you count the turbo-charged “S” versions and still more if you count the high-performance “John Cooper Works” versions that are available for all seven models. Before comparing the Paceman with the Countryman a brief history of the many models of MINI is in order. In 2000 MINI introduced it’s first car, the Cooper Hardtop. The Cooper was new, different, fun and sold like crazy. In 2004 MINI took off the hardtop, made it soft and – showing a singular lack of imagination – called it the Cooper Convertible. In 2007 MINI stretched the Hardtop by 9.45”, added a third door on the side and a split door on the back and created the Clubman. In 2011 MINI lowered the Hardtop roof line, shortened it a few inches and called it the Coupe. 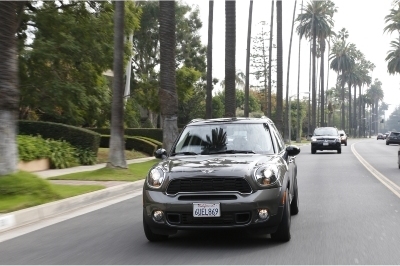 In 2012 MINI made the Coupe a convertible and called it the Roadster. But, it was in 2010 that MINI introduced a truly new car using a completely new platform. This car had four doors – a first for the new generation of MINIs – and they called it the Countryman. 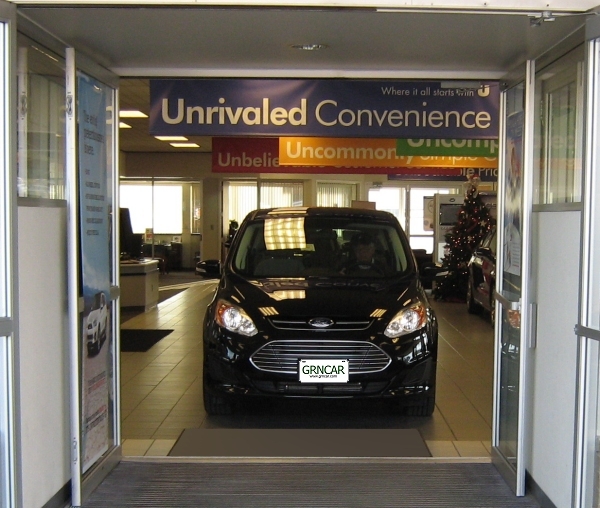 In 2012 MINI took off two doors, added $1200 to the price tag and called it the Paceman. The first thing you’ll notice with the Paceman is how similar its appearance is to that of the Countryman. 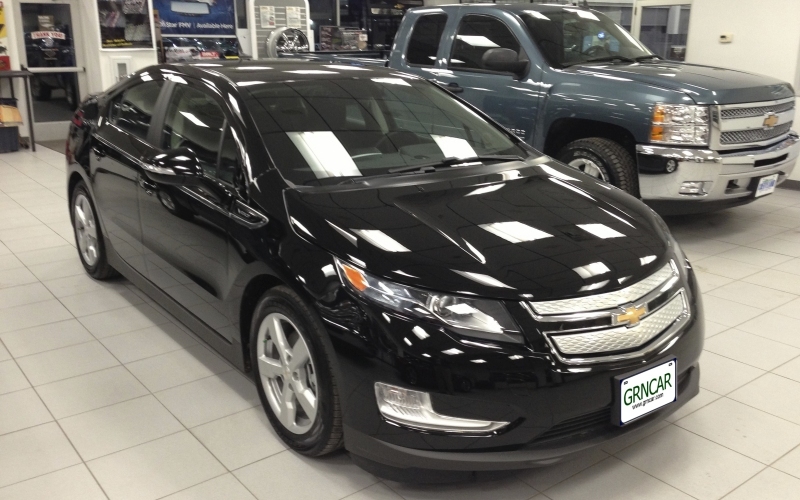 From the front the two cars are practically identical. It doesn’t get any better when you look at the interior of the two cars, again both are very similar. 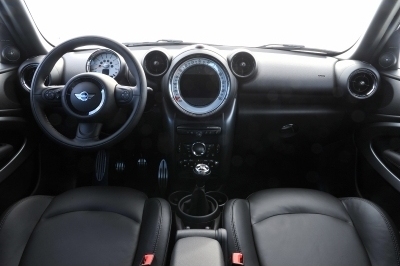 In fact the interior of all MINIs is very similar. The most noticeable interior feature is the center-mounted speedometer. 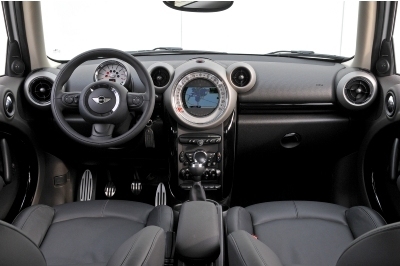 What started in the 2000 Cooper as a fun hold-over from the original MINIs has turned into an enormous center-mounted catchall that houses the speedometer in addition to a variety of expensive options such as the $1500 navigation package. Thankfully, the Paceman does look different from the side because of the missing doors and a slightly lower roofline, but other than that it is still very much a Countryman. 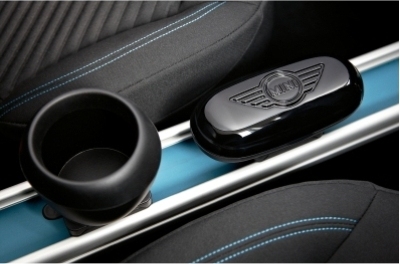 Like the Countryman, the Paceman seats only four and features what MINI calls the “Center Rail”. The Center Rail is a center console that runs front-to-back and has a variety of clip-in accessories (cup holders, storage boxes, armrests, etc). The Center Rail is certainly unique but I suspect many buyers would rather have space for a fifth passenger. Update: for 2014 the Countryman has removed the center rail separating the two back seats so the Countryman now has seating for five. Once you get past the obvious interior and exterior similarities it becomes even more obvious that the Paceman is simply a two-door Countryman. Like everything else about the two cars, the engine, exterior and interior dimensions are virtually identical. So is the Paceman worth an extra $1,200 dollars? In my opinion, no. The Paceman, like all MINIs, is fun to drive and even more fun to be seen in, but it is not nearly as practical a car as the Countryman. The Paceman doesn’t have as much cargo space as the Countryman and lacks the practicality of four doors. The Paceman is a little better looking because of its clean lines but otherwise it doesn’t have as much to offer. 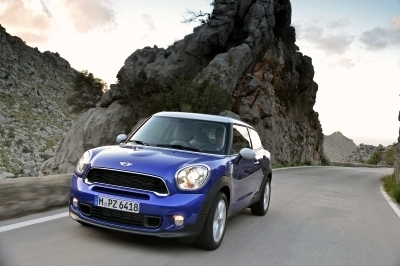 To date the Countryman is the best selling model for MINI and it’s clear why.